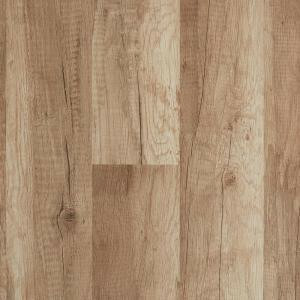 Dove Mountain Oak’s texturing and natural color variation achieve the look of real hardwood adding beauty to any room. Its ultra-strong AC4 durable wear layer protects against scratching, fading and staining. Appropriate for residential and commercial uses, it features a user-friendly locking technology for a quick and easy installation. 15.59 sq. ft. per case. Case quantity: 6. Case weight: 33.01 lbs. Buy online Home Decorators Collection Dove Mountain Oak 12 mm Thick x 7 7/8 in. Wide x 47 17/32 in. Length Laminate Flooring (15.59 sq. ft. / case) 368441-00313, leave review and share Your friends.